Wearing a black leather racing jacket and biker trousers from the Belstaff AW12 collection, actor and current face of the brand Ewan McGregor, lead the Belstaff Racing team for the opening lap of the Barry Sheene Memorial Trophy. 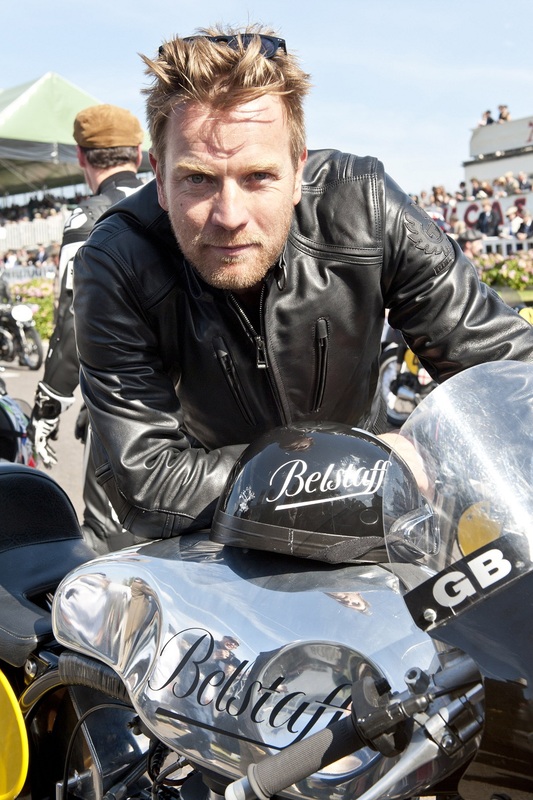 Helping promote the label's latest collection, McGregor had joined a host of other (not quite so stylish) drivers at the historic event at the Goodwood Revival. Shop the autumn collection now.